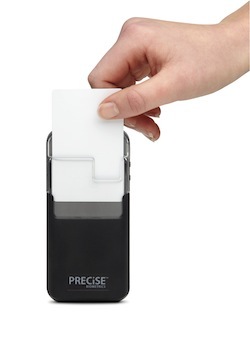 Precise Biometrics has received its first order for its Tactivo product, a smart casing for mobile devices that has both smart card and fingerprint authentication capabilities, from a large European-based car manufacturer. The automotive player, which was not disclosed, was using smart cards for desktop logical access. With Tactivo, it can now use its existing credentials and push them out to mobile devices. The company also hopes to utilize Tactivo in different ways and is considering using secure browsing and messaging capabilities. The auto manufacturer should have Tactivo deployed by Q3 2012.